Microsoft System Center is a cloud-based application that provides continuous data protection. This application is developed with Data Protection Manager, due to which data backups can be maintained and lost files can be restored. It is a client to cloud management tool where public and private servers can be integrated into the cloud platform. This software provides some additional features such as System Center Configuration Manager (SCCM) and System Center Operation Manager (SCOM). In addition to this, it provides endpoint protection feature and is compatible with all platforms such as Windows and Linux. 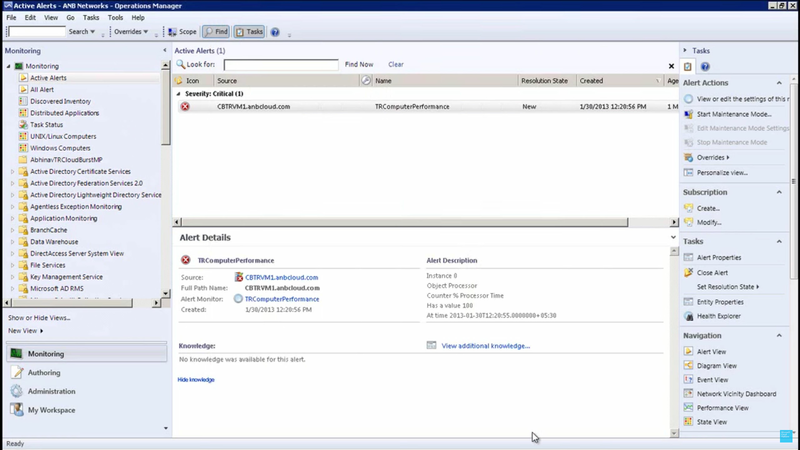 Microsoft System Center is also compatible with mobile devices. How much does Microsoft System Center cost ? The pricing for Microsoft System Center starts at $1323.0 per year. Microsoft System Center has 2 different plans such as - Standard Edition at $1323.0 per year and Datacenter Edition at $3607.0 per year. *Assumes a 16-core 2-processor server. Actual customer price may vary. "This service is great for the administration of computers and servers." I like the that is has a large range of created reports. It 's also possible to see the progress of implementation when updating an operating system or deploying applications. On that note, you can implement any application. It is not a very intuitive tool, however once you do understand how to use it, it becomes a very powerful tool. Make sure you understand the service first before you actually begin implementation. It's great for maintaining operating systems, implementing applications, deploying patches, updates, etc. "It’s Microsoft for crying out loud"
I love the familiarity I have with different devices. There are times I consider apple products to be easier to learn. Centralized and in most people’s world already makes easy integration. Ease of use and minimal screen clutter allow for a smooth process. The customer service is very minimal, working in this role, I can see it needs work. Similifying our company's data center and de-cluterring for IT and technology, particularly CIS. information technology. "Microsoft System Center is very helpful." There are many ways to connect with my coworkers. I do not necessarily like the setting of how the email is laid out. I recommend to others to ease into using this system and play around with it before using it completely. Such includes uploading and sharing documents. I am solving many issues with regards to employees covering shifts, which is helpful to make the work environment run smoother. The reporting and tracking is incredibly useful for compliance purposes. Ensuring that all deployed computers are running approved applications that are up to date is incredibly useful in a large deployment. Being able to push system updates and package application installs is also something I use every day. Remote support and management is also very robust and powerful. I don't know that I've encountered anything I'd specifically consider a downside, or even something I've thought of that I disliked particularly. We did have some issues when we rolled out IPV6, but those were pretty quickly resolved by Microsoft. Pros: The Metro UI doesn't work in some cases, but it looks and works great here. System Center is really the first real hybrid cloud tool around, since only Microsoft has a strong public cloud and private cloud offering. Microsoft had a rocky beginning with Hyper-V but it's now a fairly reliable virtualization platform. Features like DPM and RCT really help with efficiency and security. 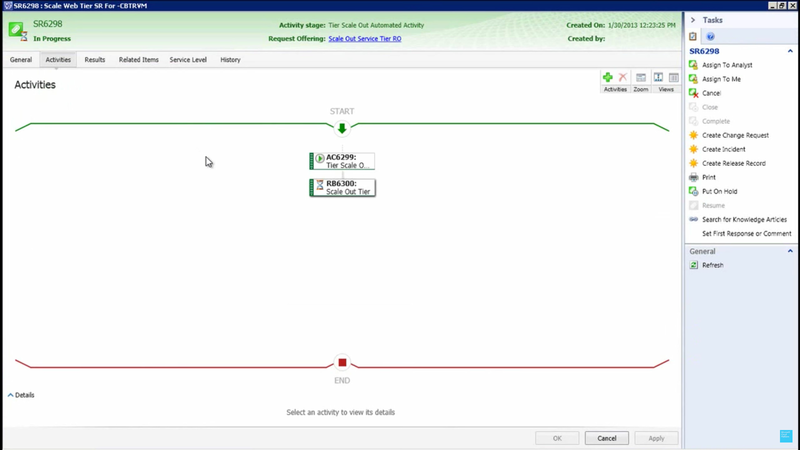 Integration with Operations Manager provides visibility into all types of environment metrics and counters. There's a lot of complexity here and SCCM does a good job of keeping tasks manageable. Cons: SCCM is not trivial to configure. When configured properly, all is well. When not, then it has the potential to fall over if not architected properly. Be VERY aware of the configuration maximums and limits, this will save you in the future. Your best bet is to get very familiar with the setup and better yet, automate it. Overall: Learn to love it, for hyper-V environments. "Microsoft System Center me resulta muy útil para el trabajo de oficina"
Lo que me gusta lo mejor del sistema es la interfaz confiable y fácil de usar. Cualquier cosa que pueda necesitar, puedo buscar y encontrar fácilmente. El sistema de soporte también es excelente para que mis preguntas sean respondidas en cuestión de minutos. También me gusta que todos mis programas estén en un solo lugar y puedo alternar entre ellos. También me encanta cómo tienen su propia versión amigable para el trabajo de Facebook llamada Yammers. Puedo mantenerme conectado fácilmente con mis compañeros de trabajo y ver qué hacen en un ambiente de trabajo seguro. Si no me gustara algo sobre el sistema, sería cuánto cambiaría una vez que se actualice. Esto podría ser un problema mío ya que me acostumbro a una forma y no me gusta cuando cambia tanto. Recomiendo usar y conocer todos los programas. Encontrará que cada programa puede ayudarlo a trabajar más rápido y ser más productivo. También recomiendo usar el programa en diferentes plataformas, especialmente correo electrónico. Los problemas de negocios que estoy resolviendo están más conectados con mis colegas y pueden ser más rápidos y confiables con los programas que utilizo. Me encanta tener una variedad de programas con un solo clic. Could use a bit more guided help, but can be figured out. Serves everything for a Datacenter! Pros: System center has several sub-products to manage datacenters; like scom and sccm. 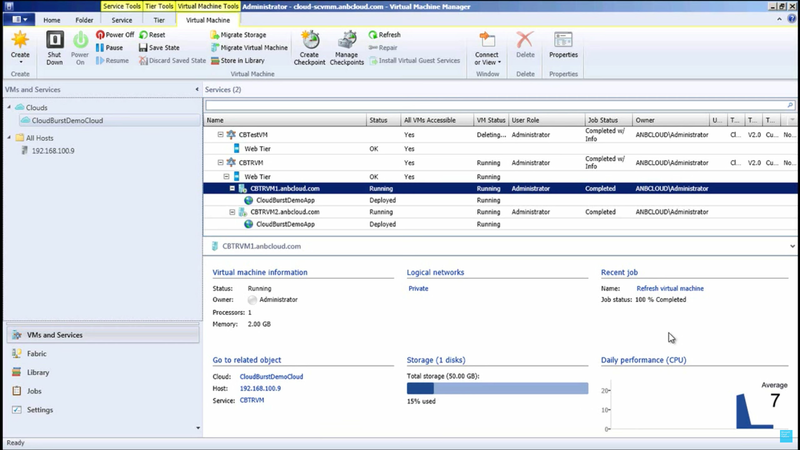 Sccm is very practical tool to manage hyperv servers and virtual machines. Scom is used to automate jobs on servers. Cons: some tasks on hyperv servers are unable to be complete on sccm. manages configuration at one point. easy to configure, maintain & deploy.Also it is secured. What are the pricing plans for Microsoft System Center? There are two versions available. Microsoft System Center Datacenter Edition that is available for $3,607 and Microsoft System Center Standard Edition is available for $1,323 and provides service validity for 2 years.